Grab a seat outside on January 31, 2018 where you can view a total lunar eclipse of a red supermoon which is amazingly a blue moon too! It’s safe to look at a lunar eclipse as the sun is not above the horizon. 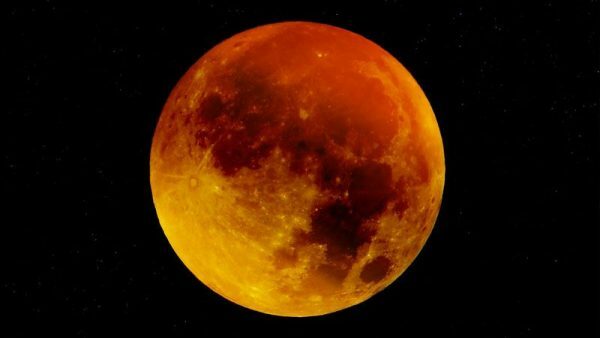 If sunlight hits the moon while eclipsing it has to pass over the Earths horizon casting a red hue. The moon will appear to be 30 percent brighter and 7 percent larger than average due to the moon’s orbit swinging in close to the earth. As it’s a second full moon within a calendar month it’s also a blue moon. The last time this occurred was March 31, 1866! Want to To find out what it will look like near you? Try out an app like SkySafari 6, Star Walk 2 or Stellarium Mobile. We’re choosing this once in a super blue blood moon to officially open our bookshop.